We have experienced another fantastic week at SIS. On Tuesday the P6 students went on a unit based trip focusing on Marketing. Students visited local shops to find examples of how different companies market products. On Wednesday we hosted the M1 – D2 girls regional football tournament. 14 schools from along the coast came to El Rio to take part in a day of football, with a total of 29 teams playing in the various competitions from Under 13s to under 19s. This is the largest single day International School event for girls in the world! . Many thanks to the PTA for providing refreshments and snacks for the students. On my walkabout last week I spent time with the GCP students on their day off timetable exploring social entrepreneurship and witnessed them generate some outstanding ideas for projects; I listened to a part of a discussion about gender stereotypes in D1 Geography; supported M3 students in preparation for their exam on waves in Science and chatted to our D2 students who were writing their written assignments for their IB final exams in Spanish. The differing range of learning experiences was refreshing and I love the continual challenge for our students to apply their knowledge and learning to real life experiences. The students were engaged and challenged, but they also were enjoying their learning experiences. I would like to remind you to sign up for the Sotogrande Bus here if you are interested: Sotogrande Costa Sotogrande Alto. I have received comments that the service is expensive for families with 2 or 3 children. We can appreciate this and if the service is used, we will look to reduce the charge as the publicised cost is based on 37 students on the 55 seater for Soto Costa and 17 for the 25 seater in Soto Alto. 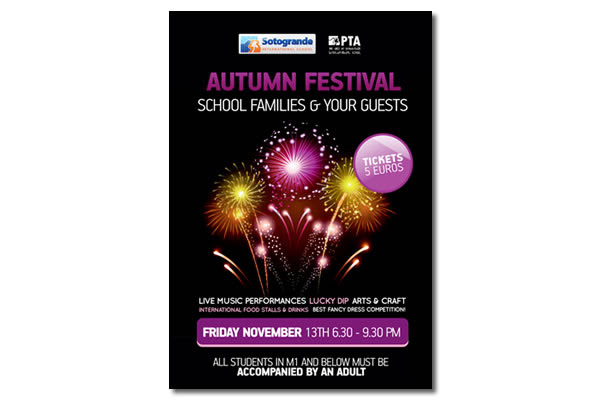 We are really looking forward to our Autumn festival tonight and wish to remind you that NO M1 and primary students will be allowed to enter without parents. I look forward to seeing you tonight! Next Tuesday 17th November, from 3:30pm to 5:00pm in the school Cantina, you will have the chance to buy new & second-hand books, as well as school uniform at super prices direct from our student-led social entrepreneurship venture “Dreaming Dragons – Social Commerce For A Better World”. We have hundreds of new adult and children’s books to sell, so do come and browse. Dreaming Dragons is a student-led social entrepreneurship business created in 2014 by our Global Citizenship Program students; a process facilitated by The Kindred Project of which we feel very proud. Hope to see you all there! Christmas is coming!!! And again this year The Spanish Department is organising a charity dinner for parents and staff on Saturday 21st November. The dinner will be at Las Camelias Restaurant in Torreguadiaro and consists of varied starters, main course (choice), dessert and drinks. 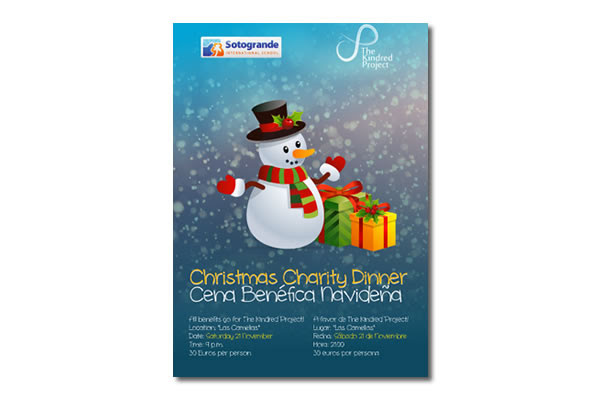 Our intention is to spend some quality time with parents and colleagues, to welcome Christmas and to raise funds for our NGO Kindred Project; together we will enjoy a fun evening, good food and music, a raffle and we will also have the opportunity to actively collaborate with our charity projects in “HogarBetania”. For further information and to buy your tickets please contact any of the primary or secondary Spanish Department teachers. The netball club for M1-D2 students trains every Thursday from 4-5 pm. Parents are also invited to participate as we would like to try to form a staff / parent team. If interested, please contact Leanne ljordan@sis.gl or Sue sdavies@sis.gl. Pricing for Sotogrande International School students is reduced to just €70 for the whole weekend – if you book before Monday, 16 November. Remember that it’s the Autumn Festival with Fireworks tonight! 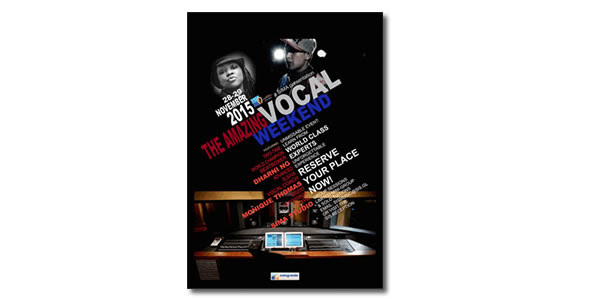 Live music, food, fancy dress competition, fireworks and more. We are delighted to announce that thanks to Sotogrande SA we have a number of children’s activities and attractions for tonight’s event. The children’s entry tickets will be exchanged at the gate for a ticket to ride each attraction. May we remind you that young children must be accompanied at all times in the ride areas. There will also be a “Lost childrens point” which will be clearly signposted. Tickets 5€, on sale at the gate. Please don’t forget that all students in M1 and below must be accompanied by an adult. The Events subcommittee is meeting on Tuesday 17th of November at 4pm in the cantina. Join us and find out more about the upcoming Christmas Fayre. On the same day, Tuesday 17th, the Cantina subcommittee is having a meeting at 5pm in the school cantina. In our Primary School we encourage and invite as many ‘experts’ as we can into our classrooms. Last week P4 were very lucky to have Gabriela and Fabiola´s aunt, Isabel Pintado, a renowned artist come in and work with them. Isabel linked the workshop to the P4’s new unit which focuses on sustaining the Earth’s resources. The children learnt how to reuse plastic packaging to create very impressive colourful, textured collages. This was a great session which has inspired the teachers to use the techniques in future artwork. We would like to make a call to all parents or friends of our community. If you are an expert or have a passion in any field, or know somebody who is and would like to come into school to talk to or run an activity alongside our Primary Teachers, please let us know (ebutler@sis.gl) as such experiences help support the learning in the classroom and link it to the world outside. One of the great advantages of having a ‘through’ school i.e. 3-18 years is the chance our students get to share their knowledge and understanding and learn from each other. This week P2 had the opportunity to visit the secondary science labs and be taught about ‘circuits’ by M5 students. On Wednesday morning it was wonderful to see so many parents of our Early Childhood students taking up the opportunity to come into the classrooms and spend time exploring and experiencing some of the typical activities our students participate in. On Tuesday P6 went to six local supermarkets as part of their engagement activities at the beginning of their current unit about Marketing. In groups of ten they looked at aspects of persuasion that are used to convince us to buy different products. On their return to school the information was shared and discussed. On Thursday 12th November P3 students enjoyed a day at the theatre in Algeciras. The theatre company presentedfor us and for various Spanish schools, one of the most well known children’s stories, Tom Thumb. 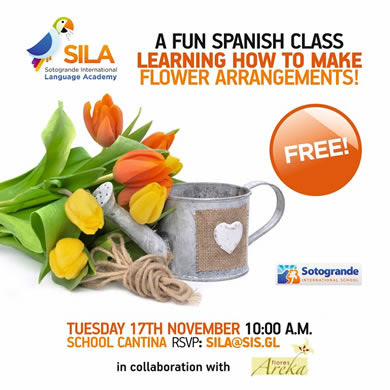 Our students enjoyed a fantastic day, full of laughs and fun and they had the opportunity to practice their Spanish. The Kindred Project volunteers will be helping to organisea ‘Funky Disco Non-Stop Dance-A-Thon’ for P3 to P6 primary students on Friday 27th November, from 6:00pm to 8:30pm in the school gym. Three of our primary teachers, Eliza Cherry, Donna Morrison and Emma Butler, will be participating in two local half marathons and then the London Marathon 2016. By doing so, we intend to raise awareness and funds for this UK based charity that encourages and supports children and adults with and without disabilities to have a better life together. P3-P6 students will be given a sponsorship form this Friday so that those who wish to participate can start looking for sponsors. The form will also contain more information. We had an amazing UN Day! All the KP Primary Club children were called up on stage during the whole school assembly to recognize the work we had done. We also did face painting during primary breaks. Our team of skilled artists delighted everyone with their dedication and creativity and we managed to raise€80,55. It was an amazing day. Thanks to everybody who joined in! Continuing the charity/ KP linked news, we are delighted to announce that the total money raised from October’s Readathon was €1770. Well done to all the students from P1 to P6 for the great commitment they showed to this reading initiative, and sincere thanks to everyone who sponsored and supported them in this challenge. M1 – Who am I? On Thursday 5th November, M1 opened the doors to Timber for the first IDU show of the academic year – the “Who am I?” Inter-disciplinary unit, which is all about where we come from, where we are going and why we are as we are. The students researched the past 60 years to discover enormous changes in music, technology, politics, medicine. Throughout the M1 Memory Machine there were individual displays showing the students findings on preferred learning styles, personality types and possible career choices. They have realised their own unique place in the year group, heightened their self-awareness, and grown in their understanding of personal choices. This Monday saw the launch of Career Investigator with the M3 students, as part of their pathways programme preparing them for university and career choices. Students and advisors took part in the survey and this will be a key starting point for research into their future long-term goals and will give them an insight into the best pathways forward in their academic studies. We also had a visit from a representative of Bard College, Berlin. He was able to present the entrance requirements and course structure of Bard, as well as give an insight into studying in Berlin to a select number of interested students from M4 to D2. The San Roque Boarders have had another busy week participating in the activities provided. A record 16 students turned up to the Monday Running and Fitness Club, Tuesday night’s Indoor Football remains extremely popular and the competition on the Wednesday Quiz Nights is as intense as ever. On Thursdays, the boarders are looking forward to the new DJ and Dance workshop which is beginning from next week. As for the weekend, the Boarders are off to Ronda on Saturday and looking forward to playing tennis and padel on Sunday. Remember if you do want to participate in any of these activities, do contact boarding@sis.gl to check for availability of places.